Yes, Senator John McCain changed his mind about “Repeal and Replace” and voted thumbs down on Trumpcare. 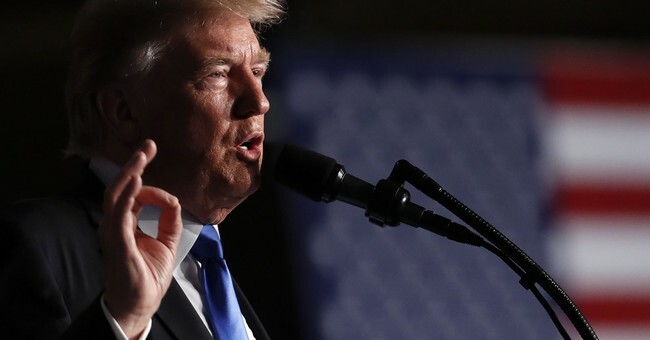 Now it seems that President Donald Trump has changed his mind about our involvement in the Middle East, specifically Afghanistan. How extraordinary such sea changes of opinion. It would not surprise me that in the very near future McCain announces’ his unbridled support for the White House’s Tax Reform package. I can almost hear the conversation between the two long time adversaries. Trump: “Look John, I’ll give you Afghanistan if you change your position on repeal and replace. McCain: “No can do Mr. President. My thumbs down was one of my best dramatic moments in the Senate, ever. No way I will overturn that, I was good. No, I was great. Trump: Yes John it was really good television and I should know. But are you really sure? Afghanistan could be just the start. I need a win. Trump: How about throwing in The Wall? McCain: Don’t push it Mr. President. McCain: I can do that. By the way my speech writer will send over a list of a few points I would like included in your address to the nation. Trump: I look forward to it. On January 17, 1961 President Eisenhower gave his farewell address to the nation. Monday evening Donald Trump changed his mind and broke another campaign promise. He warmly embraced the Clinton. Bush, Obama position of increasing military spending, never ending war and the continued enlargement of the Eisenhower warned Military Industrial Complex. Complicit in this is, of course, both houses of Congress, both left and right main stream media, and the public at large. Each has its own particular reason for embracing the President’s new position. Congress simply does the bidding of those who write the checks. Military spending represents very big checks. The media has always seen its ratings boosted when pictures flash across the screen of the US military’s awesome power. The public is always excited, and united, when the enemy, men, women and children are identified and eliminated (we don’t say killed when it comes to civilians). It makes for a better NFL game when we can honor our warriors just back from the battle. People are not required to spell Afghanistan nor even identify it on a map just shout Booya at the next game and sing out during the anthem. The less that the public is involved the better it is for everyone. Terror should be restricted to a Stephen King novel. The point man is, of course, Senator John McCain who obviously read Trump’s “The Art of The Deal” which implies that both negotiators should walk away with the sense that they have won. President Trump wins a legislative victory. Senator McCain wins a never ending war. Of course the loser, in both instances, will be the American public, primarily the middle class. They will lose much needed tax deductions, among other things, to augment Corporations continued lessening tax payments. It is however only money, something which the middle class has less and less of. Trump did say he would make “America Great Again.” He just didn’t say which America and at whose expense. The more important loss to the middle and lower class, and country at large, will be the senseless deaths of our young men and women. Unfortunately that sacrifice is necessary to perpetuate and grow the Military Industrial Complex according to those who made the deal. I believe President Eisenhower would be greatly saddened to see how far we have pushed beyond his initial warning. I don’t believe he would be surprised however since he was smart and prophetic enough to understand that somewhere in the future was not a selling of a soul but simply “The Art of The Deal.” Unfortunately that future is now.